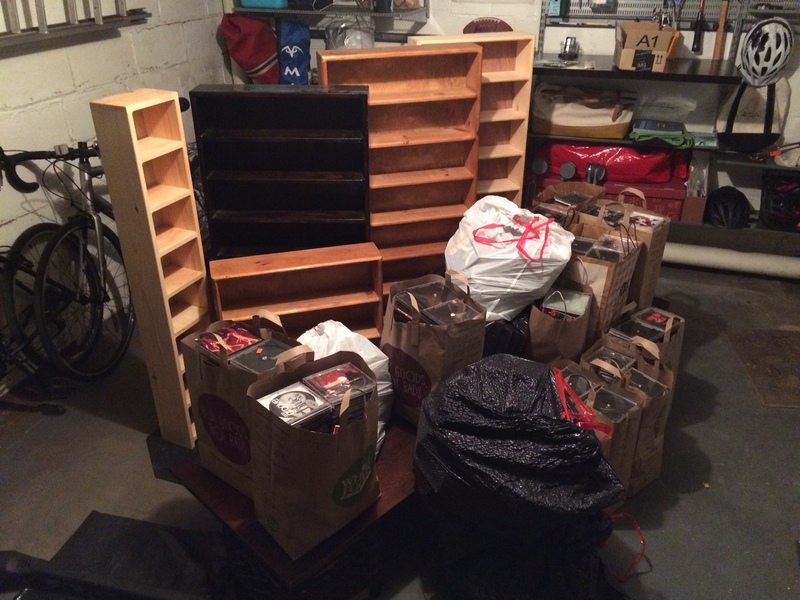 Shown above: 15 bags FILLED with unwanted CD jewel cases, and the shelves they once lived on. Shown above: FIVE books. Each filled at 75% capacity, to provide room to grow. This is some dramatic space reduction!!! I want to linger on this point a little while. Look at that purged pile of shelves and jewel cases again. See how much space that is!!! This is the size of a beautiful big closet. I can’t get away from this thought. I feel like we just paid for an addition to our home. I feel like a carpenter was interviewed, hired, here and gone. Leaving in his wake one big closet, freshly built!!! 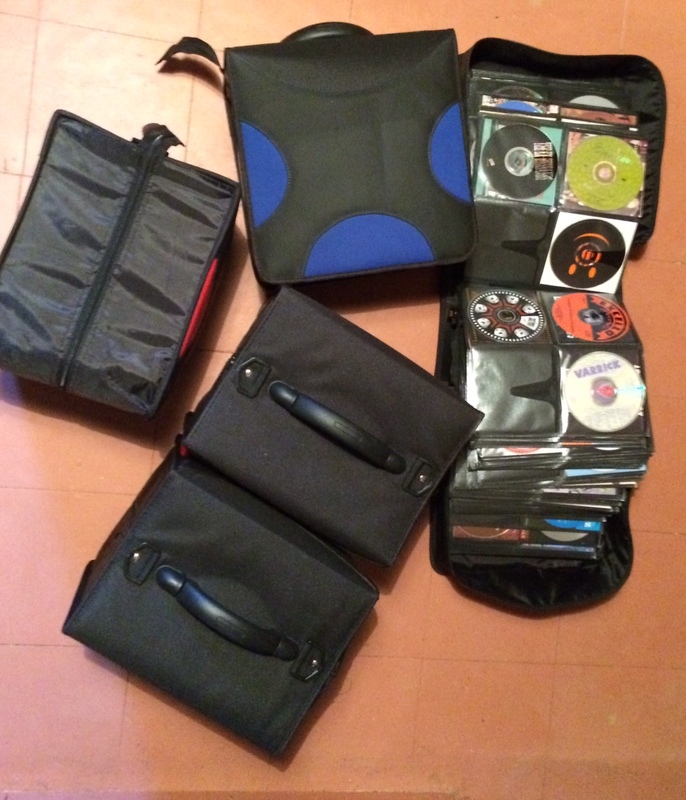 But, it’s dreamlike because all this extra space cost only $150 (five big cd cases at $30 each), didn’t require any labor research or disruption in daily life. It required several hours on the couch, transferring CDs while watching House Hunters and other TV favorites. It can be kind of therapeutic to do this sort of sorting (I didn’t do any of it, I’m just thinking back to the last time I did anything like this, which was possibly about twelve years ago). The shelves, we no longer need, are awesome. They seem super useful. I thought of keeping them to store my tchotchkes (oh wait, I got rid of most of those) or some toiletry products (ug! got rid of those too)… ok, ok, I’m illustrating a point in a rather goofy format. These shelves are great! But, shelves are for shelving things. If you don’t got much in the way of things, what good are shelves? Happy November 29, Everyone! I’ll see you tomorrow for the final day of my November Pact to Purge. WOW! Really? Just for your info, I do keep checking the calendar to confirm November does only go up to 30!!!! HAHHA, this is how psyched I am. If only I could condense my books that way!